Keep all of your Halloween guests safe this year. With Halloween less than a week away, it’s time to start getting your home ready for all the visitors that you will receive on Halloween night. Not sure which precautions you should take around your home? 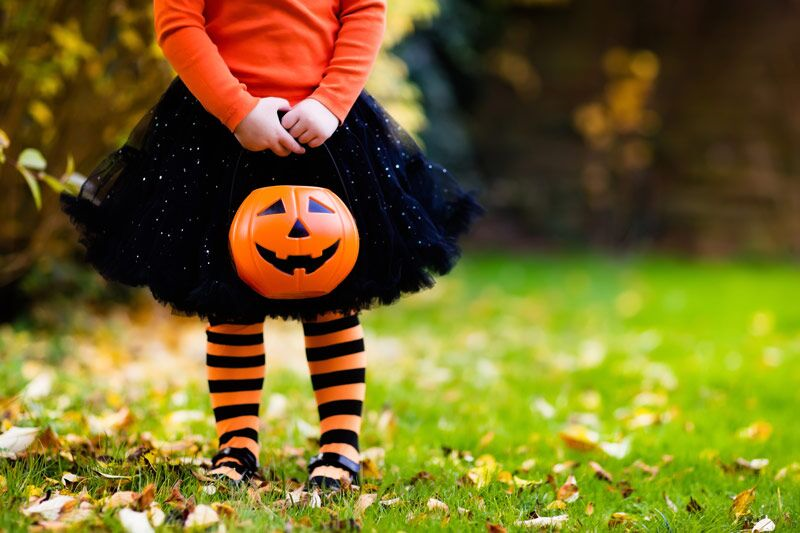 Then here are ten steps that you should take to keep all of your Halloween guests safe. Never use real candles to light up your jack-o-lanterns or decorate your home. While live candles may look cool, they increase your home’s risk for fire and your guests’ risk for serious burns. Do not hang heavy decorations overhead. These decorations could cause injuries if they were to fall. Avoid placing small, easy-to-miss decorations and décor on your walkways and by your front door. These items could constitute a tripping hazard for your Halloween visitors. Try not to use decorations that pop-out at people. These could cause your Halloween guests to startle so hard that they accidentally injure themselves. Illuminate the pathway leading up to your front door. Keeping your front yard brightly lit will reduce the chances of people tripping or walking into an unseen obstacle. Remove potential tripping hazards from your front yard and walkways. For instance, you should rake up slippery leaves, remove protruding rocks, and fill in holes in your lawn. If you have a railing leading up to your front door, make sure that it is sturdy. You do not want your guests to lose their balance and hurt themselves due to a wobbly railing. Keep your pets away from the front door. The continuous arrival of guests can make them overexcited, increasing the chances of your pet running away or acting aggressively. Leave your home’s external lights on all night. Vandals are less likely to target properties that are brightly lit for fear of being seen and caught. Keep your car and any outdoor furniture inside your garage. This will ensure that your possessions are not vandalized or stolen by Halloween pranksters. Try out these suggestions to keep all of your Halloween guests safe this year. Want another way to protect yourself and your loved ones this October? Then make sure you have the proper personal insurance protections in place. For assistance with all your coverage needs, contact 01 Insurance in Astoria, New York today.